Linda Netsch is a Lecturer on Law at Harvard Law School where she teaches negotiation. She also runs Align Consulting, which provides training and consulting services in the fields of negotiation, mediation, conflict resolution, and leadership. She works with business and legal professionals throughout the United States and Europe. 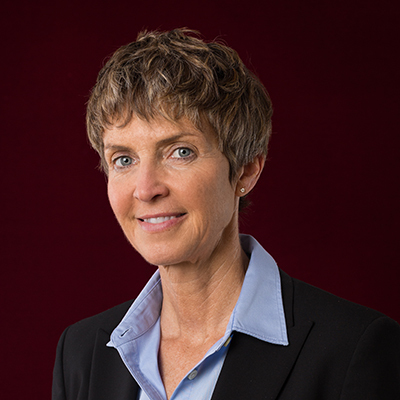 In addition to training and consulting, Netsch practiced litigation at an entertainment law firm in Los Angeles and worked as an Alternative Dispute Resolution (ADR) Attorney at the US Postal Service Headquarters in Washington, D.C. As an ADR attorney, her duties involved increasing the use and effectiveness of negotiation, mediation, and other alternative dispute resolution processes within the Postal Service. She also mediated federal contract and employment disputes and facilitated sessions on changing federal rules and regulations. Before private law practice, Netsch served as an officer in the US Air Force – first as a communications-electronics program manager for a NATO satellite project, and then as an attorney practicing criminal prosecution and labor law. She was on the faculty of the Air Force Academy for four years, teaching business law and negotiation/conflict resolution. Netsch has a B.S. in Molecular Biology from the University of Wisconsin-Madison and a J.D. from Harvard Law School. Linda Netsch is currently involved in the course: Skills for Lawyers: Negotiation in the Shadow of the Law.